Are you working on color mixing and secondary colors? 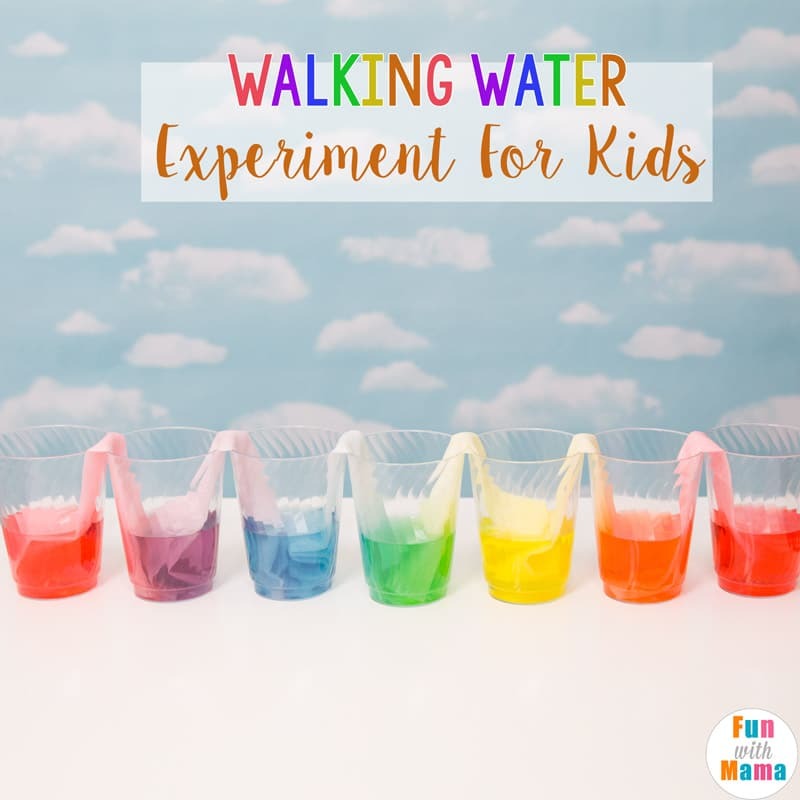 Then this walking water experiment is one of the best water experiments for kids. The science experiment is easy to set up and allows time for children to hypothesis what will happen. 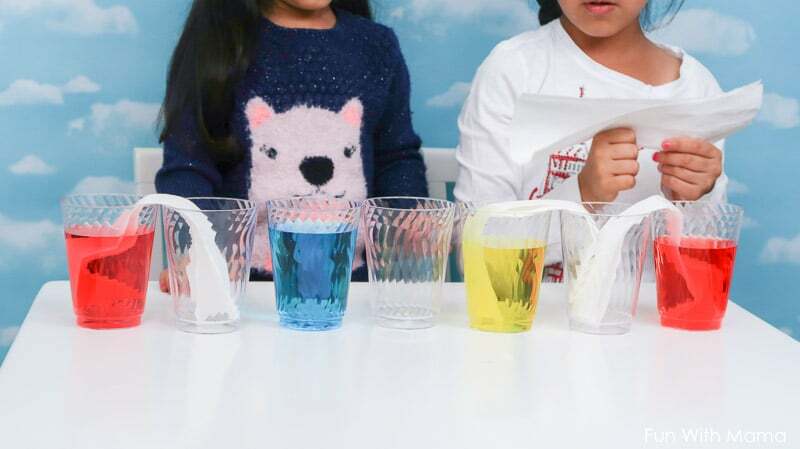 What will happen as red, blue and yellow travel up through the paper towel into the empty cups? They make the secondary colors, purple, orange and green. 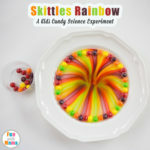 This science experiment is similar to the skittles rainbow science experiment and is perfect for a rainbow or color themed activity. 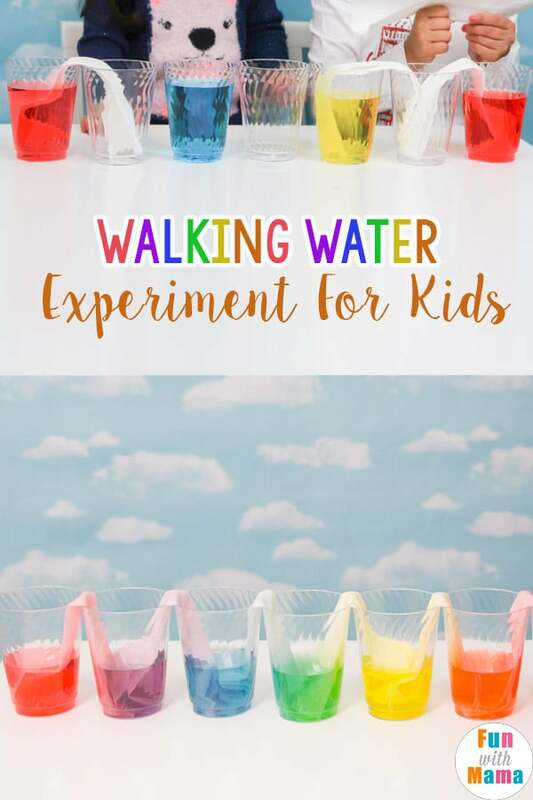 Add the Q-tip rainbow painting activity, raised salt rainbow , rainbow slime and some rainbow themed books for more rainbow fun. First you will need to prep your activity. You will need seven cups. Fill water in four of them. 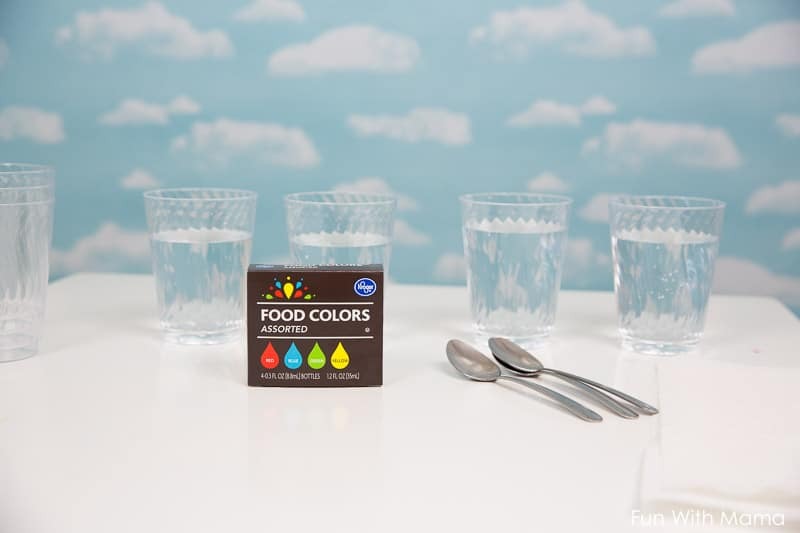 Add food coloring as shown below to the cups. The 2 side cups should be red. Skip one and make the next cup yellow. Skip another and make the next cup blue. Do not fill the three empty cups. Fold six paper towels in half and place them between the two cups. Wait a few hours for the results to happen. The image below was the next day but the results were ready after 3 hours. 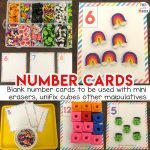 I love this experiment worksheet that ties to this activity. 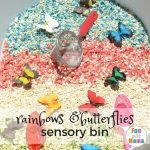 Want more rainbow activities? Then check these activities out. You can find all of our science experiments here. Our science experiments for kids videos are a great watch too. 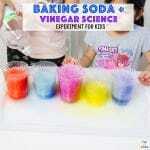 Do you do science experiments with your kids? What are your favorites? We have done so many that my children want to try new science experiments weekly.